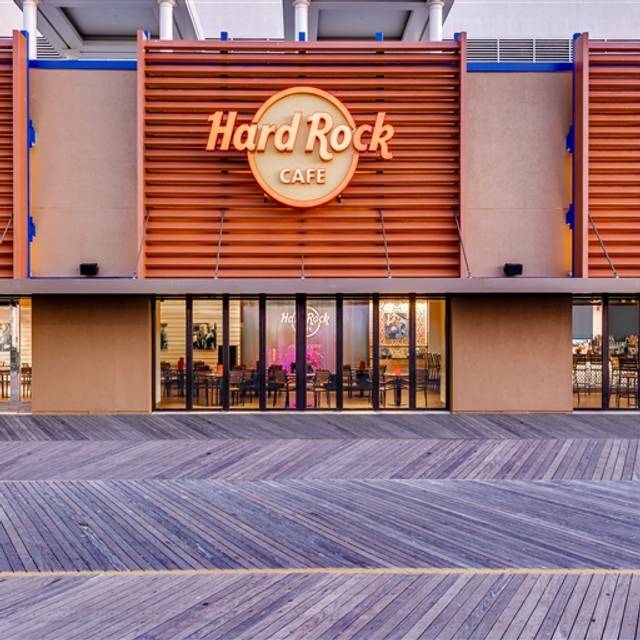 You must make reservations at least 5 minutes in advance of the time at Hard Rock Cafe - Atlantic City. 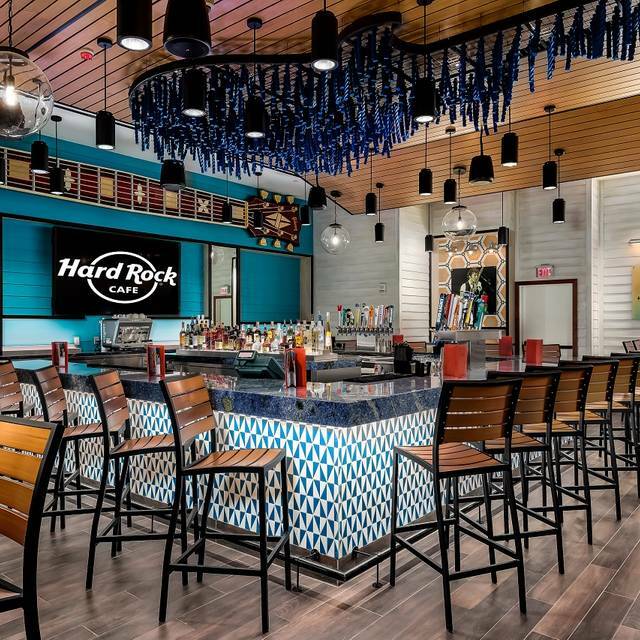 Self Parking Garage & Valet available at the Hard Rock Hotel & Casino. Park at adjacent casinos, hotels or rated parking lots. Boardwalk Tram, AC Boardwalk Rolling Chairs, Jitney stops on Boardwalk and Pacific Avenue. 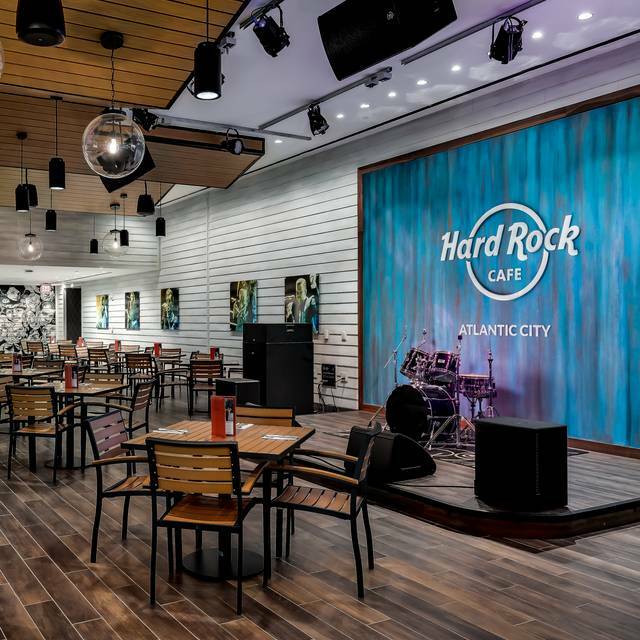 Step and experience the legendary menu and famous music memorabilia collection of Hard Rock Cafe Atlantic City. Our cafe offers guests world-class dining and a show-stopping experience in a high-energy atmosphere. 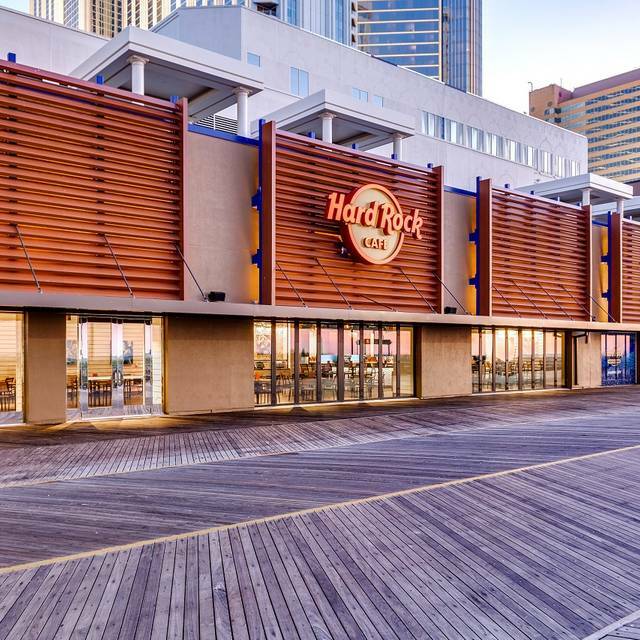 We’re located on the famed Atlantic City Boardwalk just a short walk from the thrilling rides at Steel Pier. From our mouthwatering Legendary® Burger to our crisp, fresh salads, our world-renowned menu has something to offer everyone. In addition to our traditional menu options, we also offer locally inspired dishes sure to surprise your taste buds. 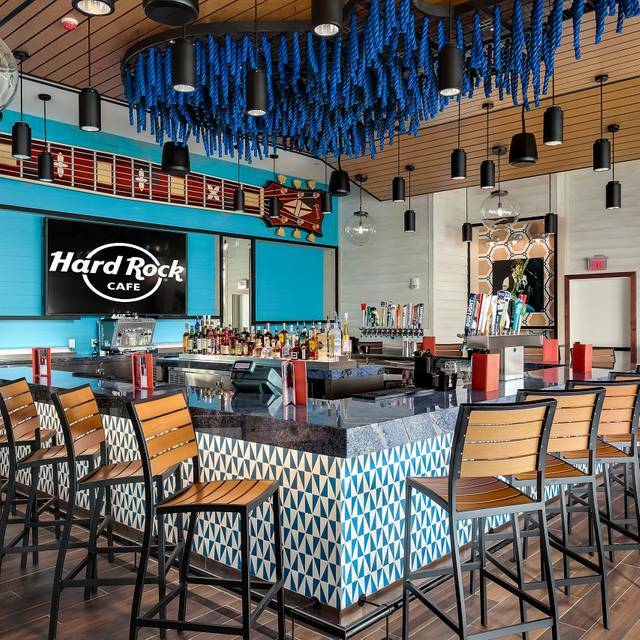 Whether you’re enjoying the energetic atmosphere of our seasonal outdoor patio overlooking the Boardwalk or grabbing a drink inside at Boardwalk bar, our cafe is the perfect place to enjoy a flavorful meal or cocktails with friends. We hope to see you there! Celebrating Easter Lunch and Dinner. Featuring our Spring Cocktails for your dining pleasure! it's pretty pricey for a burger and nachos. The bill for two was $120. I thought that was a bit high, for the quality of food and service was similar to a chili's. However, it is AC, so understand things will be at a premium. I'd not recommend this place due to the average food and premium cost. Service was very good--our waiter was attentive and helpful. I would like to see more vegan options and gluten-free available--but I was very happy they had the Impossible Burger for us plant-based people, and it was excellent! I thought the prices were quite steep, but I expected that from a casino. I would return if they offered more vegan options and if they also had gluten-free foods available. Thank you for you feedback!. We will share it with our Culinary team. We hope to see you again soon. Thank you for your feedback! We will share it with our Beverage Management team. We hope to see you again soon! We are so sorry to read of your experience, and would welcome the opportunity to speak with you directly regarding your experience. If you wish to speak with us, kindly inbox us your contact information we will be in touch. Was not busy for a Monday night. Service was great. We did not wait for long for service nor the food. The server took our order,then brought us our drinks. other servers brought us our food that wasn't cooked how we ordered it. the server that took our order never came to the table once to ask how everything was. Then I had to tell someone to get our server so i could get my check and I also noticed that other customers had to do the same thing for the same server. This was the worst service I ever got when I've gone out to eat. We’re so sorry for your disappointment with your visit. Please know we take all guest feedback very seriously, and we can assure you that your comments have been shared with our management team. The Guiness burger with bacon jam was delicious! We sat out by the boardwalk. Great people watching. Thank you for the 5-Stars! We hope to see your again soon! Excellent food served in a timely manner by wonderful waiter. Thank you for the review. Hope to see you again soon! The menu is very limited. My salmon was too dry and the green beans were barely cooked. My husband got the fajitas and he said they were good. Thank you for the review. Your feedback will be shared with our Culinary team, Hope to see you agaun soon! Thank you for your feedback! Please contact me directly. I would like to learn more details about your visit. Was a beautiful hotel but was a bit too loud for my taste (even had people partying in room next to us until about 5am). 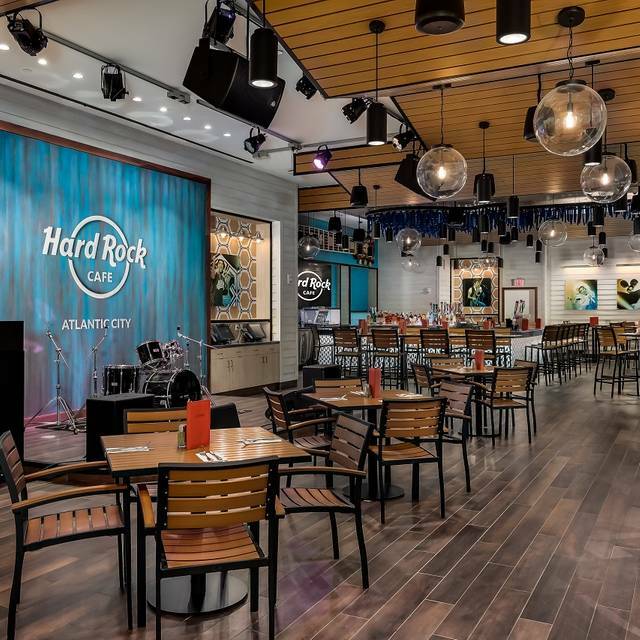 Also, when we went to dinner at the Hard Rock Cafe, we had a seat that was next to the casino floor so had that loud noise plus the cafe had a live band and there was music being piped in overhead as well. Could hardly talk at the table as it was so loud. Everything of course was over-priced to such extreme levels also. We joined the wild card used in the slot machines and spent over $1000 between my wife and I and got a total of $11 each in money back (not available while we were there so really got nothing). So, no I wouldn't recommend this to anyone else unless they were going to see a show or something non-casino related unless they wanted to lose all their money and pay a super prime price to do so. Thank you for your feedback! We are so sorry to read of your experience, and would welcome the opportunity to speak with you directly regarding your experience. If you wish to speak with us, kindly inbox us your contact information and we will be in touch. Our server, Octavio, was very attentive and went above and beyond for us. He was very friendly. My sister wanted a hurricane glass, he stated they may not have anymore but he looked and found her one. He was so kind. Our food was cooked to our liking and we enjoyed ourselves. Thank you for your feedback. We will share with Ocatvio. Our server left in the middle of her shift. No one came over to check on us while we had our food. We had to ask a manager for our check and no one got a tip. The service was outstanding but the food was mediocre. My salad had several sad, brown leaves of lettuce and the shrimp were overcooked.. My husband's potatoes were ok but not very hot and the steak was so-so. Manhattan drink was great, however. Also, we asked for bread and were told that it isn't offered. Onion rings were fine. We also found the booths a bit strange for two people. I had to practically yell because we were so far apart and the booth backs were not really usable because they were so far back. 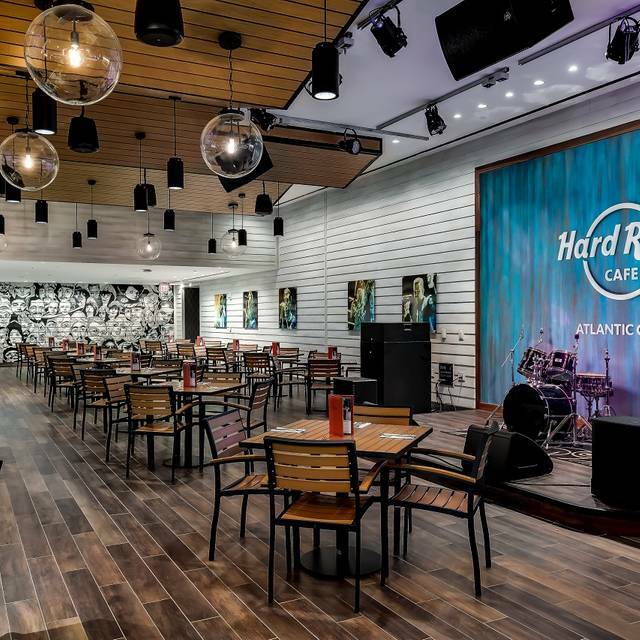 I think, most of the world, has eaten at a Hard Rock Cafe. This was no exception, except that it's a brand new hotel with all new restaurants. Made reservations as I'm on a strict kidney diet and everything was superb! From walking in, to the service, to the food .. everything was very good. Definitely go back and recommend to friends. Alex was very nice and attentive. My husbands rib was flavorful but lots of fat and gristle. My Caesar salad was good. Thank you for your review! I will share your feedback with our Culinary team. Absolutely amazing time. We will for sure be back! Thank you for you feedback! Hope to see you again soon! Food was good. Service was a little slow with the food coming out, but the server was great. Very clean. This was a dinner celebrating my niece's and her boyfriend's 21st birthdays. Dinner and drinks were excellent and our waitress, Nancy was phenomenal! She really made the "kids" feel the excitement of turning that magical age of 21! Thank you so much Nancy for giving them such a great experience! Thanks for the 5-stars! Hope to see you again soon! This is a cafe or even a coffee shop type of place--booths, some tables, a stage. It isn't anything like fine dining. In this venue the cocktails and wines by the glass are a little on the high side. The food is acceptable but certainly not rave worthy. But you can get seated and fed on a random Monday night away from the gaming. It is also ok for people whose eating habits are varying, from vegetarian to meat eating he-men. Thank you for the review! We would like to know more details about your dinning experience in order for us to improve in the future. Please message me directly. Service was good and the server was attentive. Value was good. Food was average nothing special. Thank you for the feedback!Please let us know how we can improve in the future . We never got seated. They told us that they were closed at the time of our reservation and has to wait 20 minutes till they reopened since their breakfast was backed up!!! Even recommended going somewhere else. Thank you for your feedback! I apologize we couldn't meet your expectations.Please message me directly. I would like to talk to you in order to get more details about your visit. Thank you for your feedback. Please message me directly. I would like to know more details about your dinning experience. Thank you for the feedback! We hope you will visit us again soon. Delicious food and excellent customer service. Looking forward to my next visit, which will be very soon. Thank you for your feedback. Looking forward to seeing you on your next visit! Not many choices on the menu, but I had a burger and it was really good. The atmosphere was inviting. Whoever done the interior design, has a fantastic taste level. Thank you for the review! We hope to see you again soon! We waited approximately 20 minutes for a table. After being seated and provided menus,we waited 18 minutes before we were asked if we wanted something to drink. We ordered drinks, apps and burgers all at the same time. We had to grab ketchup from another table. Nice place - very slow service - food was okay. Thank you for your feedback. Please message me directly. I would like to know more details about your visit. Thank you for your rating! Please contact me directly. I would like to know more details about your visit. Had a blast! 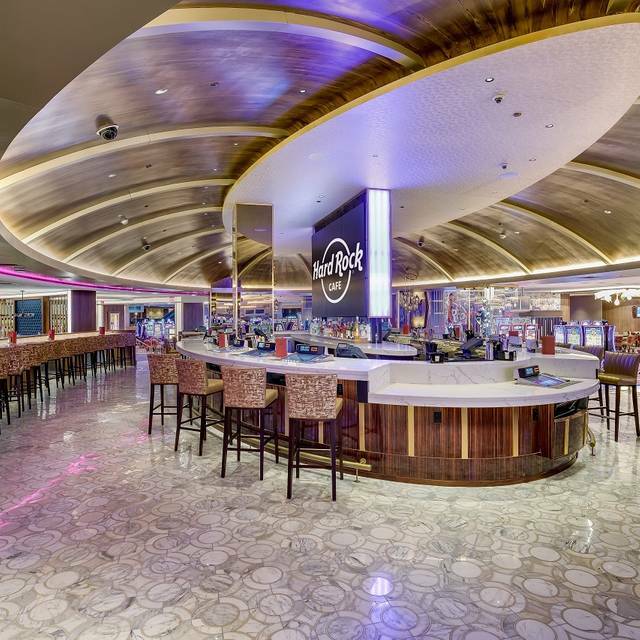 Will definitely be back to the Hard Rock! We are glad we delivered a great experience! We hope to see you again soon. Thank you for your feedback! Please messege me directly. I would like to know more details about your visit. We are there twice and had the same server cannot remember her name but she was the best. Will come back because her her and the food. Thank you for your feedback! We are glad you enjoyed our service and food. Looking forward to your next visit. It was my 60th bday and both manager and waitress was very attentive to our needs. We are glad that we delivered a special experience for your birthday! We hope to see you again soon. Our fajitas came out cold. Had to send them back. Limited menu options. Food was fair. Thank you for your feedback! I apologize we couldn't meet your expectations.Please message me directly. I would like to know more details about your visit. 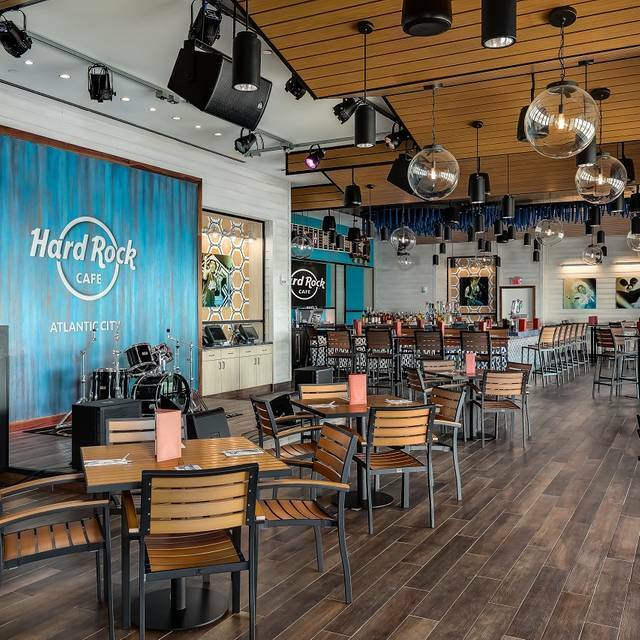 This was our first time dining at the Hard Rock Cafe. Very impressed, will definitely return. We had the pulled pork sandwich, which was excellent, and the crispy chicken sandwich, also very good. Cool casino, too, with vibrant colors and unique overhead lighting. Beautiful! Looking forward to a return visit! Thank you for your review! We are glad you had a great experience with us. Looking forward to see you on your next visit. Always a fun time at the Hard Rock Cafe. They gave us a table so we could see the band, which was awesome, love Draw the Line. Service was great and so friendly. Thank you for this great review! I appreciate you taking the time to share your experience. Good food and service was good. The burger was a bit messy but good. Wings were tasty but a bit pricey for 8@$13.